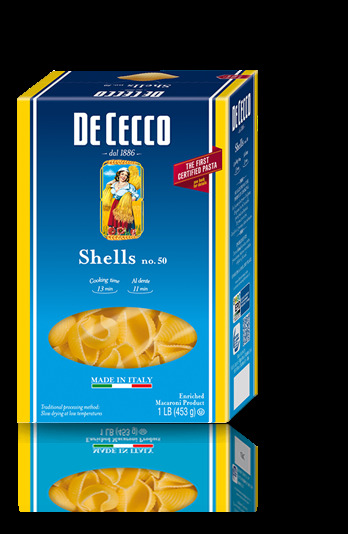 Shells belong to the creative shaped pasta cuts and are typical of the Campania region. They are named after their shell-like shape and are normally 1.535" long and between 0.045" and 5.511" thick. They are excellent with light tomato -based sauces, with ricotta and pesto Genovese.